Patio Rattan Garden Wicker Outdoor Furniture Double Seater Outdoor Hammock Egg Hanging Swing Chair I. Product Name Patio Rattan Garden Wicker Outdoor Furniture Double Seater Outdoor Hammock Egg Hanging Swing Chair Item No TF-9716 Material PE rattan, Power coated Steel, Waterproof repellent fabric Size Frame size 120*120*200cm , Chair size 148*70*124CM G.W. We trust our customer as partners, highly appreciate our friendship, and try our best to help them to expand their business. Q2. What is your terms of payment9 A: T/T 30% as deposit, and 70% before delivery. The specific delivery time depends on the items and the quantity of your order. Q5. Can you produce according to the samples9 A: Yes, we can produce by your samples or photos. Jieshou Leyouyou Outdoor Products Co., Ltd.
What&rsquo;s the application9 The hanging chairs can be used for both indoors and outdoors. 5. We provide a wide and complete range of hand woven furniture and panel furniture for selection and OEM is accepted. We have our own factories in Foshan with an occupation area of around 15,000sqm and around 150 workers. 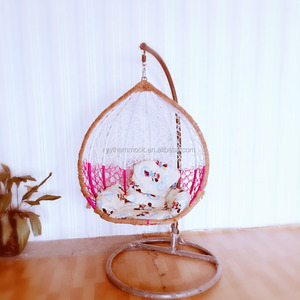 5.We have most of swing chair in stock, so your urgent order demand is satisfied. 3:How about the delievery time9 Normally within 15-60days for one container order after down payment . small order also accept,price and details please contact with us before order placing. Alibaba.com offers 719 egg hammock chair products. About 70% of these are patio swings, 12% are garden sets, and 7% are hammocks. 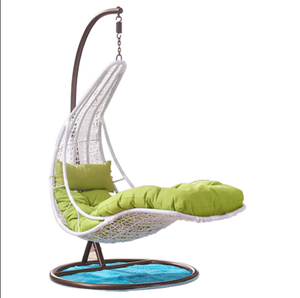 A wide variety of egg hammock chair options are available to you, such as metal, fabric. You can also choose from free samples, paid samples. 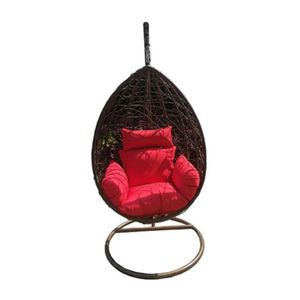 There are 736 egg hammock chair suppliers, mainly located in Asia. The top supplying countries are China (Mainland), Vietnam, and United States, which supply 80%, 19%, and 1% of egg hammock chair respectively. Egg hammock chair products are most popular in Western Europe, North America, and Southeast Asia. You can ensure product safety by selecting from certified suppliers, including 37 with Other, 28 with ISO9001, and 13 with BSCI certification.